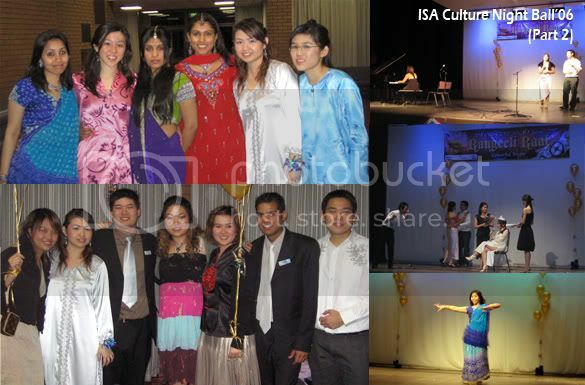 ~*~ Juz Mel: Part & Parcels of Life ~*~: ISA Culture Night Ball 2006, Continued problems that never seemed to end, Money isn't everything, but hey! we can't do without it too. 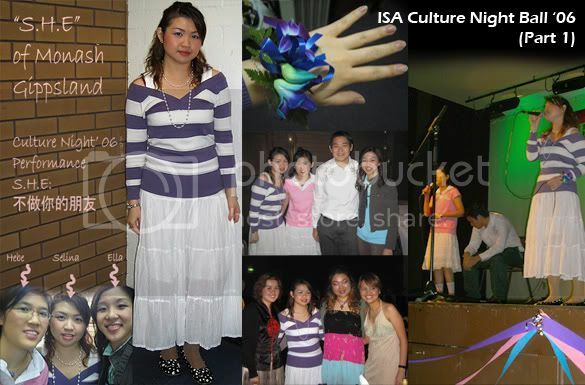 ISA Culture Night Ball 2006, Continued problems that never seemed to end, Money isn't everything, but hey! we can't do without it too. The performance as usual, was an important thingy to me; thus for the constant practices of the MTV which had to be different from the actual S.H.E MTV because it involved two gay guys, so the plot was changed. Thanks to Chun Yau, Wendy and Wantheng for being my actors and actresses for the night. Their nervousness eventually wore off on the actual performance and they did pretty well. Only thing, I was really pissed off with the two blokes who operated the Audio system, they forgot to turn off the right channel, so I had to pitch my voice louder to overpower the voices of S.H.E. Ain't too happy about that error, since it was like my last performance for a university event. (*_*) Will try to put up the video recording here soon! And so, some of the other performances that night which include a funny play as well. Check out the pretty costumes everyone was wearing and Sindhu won the Best Dressed Award; third indian girl from top left. Don't ask me what my costume was cause I really can't pronounce it correctly. Apparently it's from Northen India as Preeti told me. With my good friend and ex house-mate Henrie, then Sheali and I, just being vain girls on stage during the Best Dressed Awards, since Gee "forced" us up there. And of course, my charming darling, the ISA President giving his closing speech. Haughty on first impression, friendly when I get to know you, and funloving if I like you. Visit our Wedding Blog!